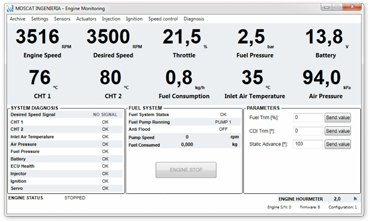 It allows the control of all engine processes: fuel injection, dual ignition, engine speed (fly-by-wire), redundant fuel supply, propeller pitch, sensors and actuators diagnosis, engine health monitoring. Control algorithms specifically designed for two strokes engines. Available, among others, for Desert Aircraft DA120, DA150 and 3W-150 engines. For more details, please contact us. Micro gears fuel pump. 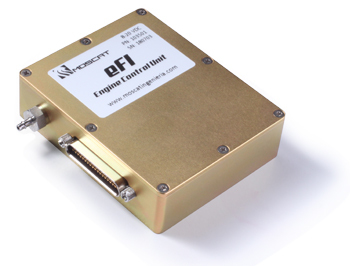 Designed to satisfy the requirements of UAV reliability, endurance and maintainability. 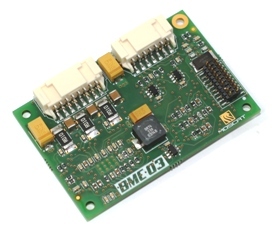 The BMC03 controller regulates precisely the speed of brushless motors without being affected by variations in voltage, typical in battery powered systems. 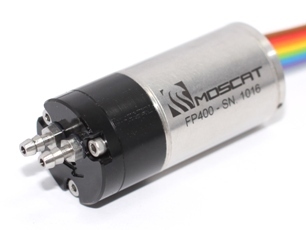 It is specifically designed for the control of UAV fuel pumps, although its application is extended to more general applications.